If you think meditation is just for religious or spiritual activities- think again. Meditation has some exciting and powerful benefits for your health, including boosting your mood! Meditation is a practice in which one focuses their attention inward to induce a feeling of calm. 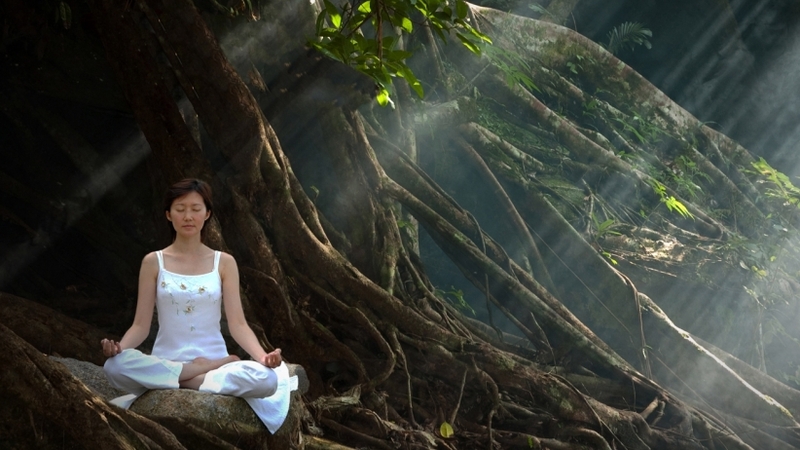 Meditation is well known as a simple way to help to reduce stress. Interestingly, a study published JAMA Internal Medicine in January 2014 found meditation to be helpful for reducing anxiety, pain, and depression. In fact, meditation has been reported to be as effective as an antidepressant medication for depression! Contrary to some beliefs, meditation does not have to be religious or spiritual- it can be a form of brain training. Researcher Madhav Goyal says “A lot of people have this idea that meditation means sitting down and doing nothing, but meditation is an active training of the mind to increase awareness.” Meditation can essentially be done anywhere, at any time! Other researchers have found that mindfulness meditation is an effective tool in reducing anxiety, including social anxiety disorder. A specific study conducted at Stanford University found that mindfulness-based meditation can actually “turn down” the reactivity of the area in our brain responsible for worrying. Given that in western countries, between 14-29% of us are likely to suffer from an anxiety problem in our lifetime, meditation could be helpful for a lot of us! So How Do I Meditate? Meditation is commonly practiced while sitting in a comfortable position either on a chair, with both feet on the ground or seated on the floor with the legs crossed. Usually, meditation is done with the eyes closed and the hands resting on top of the legs. However, some people find it much easier to be moving while meditating. Meditation can be practiced while walking, running, or even on the train while commuting to work! Mindfulness meditation encourages one to observe their wandering thoughts as they drift through the mind. The intention is not to get involved with the thoughts or to judge them, but to simply be aware of each thought as it arises. When using meditation to boost mood, we often suggest starting with a meditation called “loving kindness meditation.” This form of meditation has been shown to increase positive emotions and increase life satisfaction. A “loving kindness” meditation is a simple practice of directing well wishes toward other people. Traditionally, the meditation begins with the intention of directing kindness toward yourself, such as May I be healthy and strong. May I be happy. May I be filled with ease. This intention is then directed towards others. Begin with either sitting in a comfortable position, lying down, or getting outside into nature and observe the natural surroundings. With intention, say out loud or in your head the entire phase or part of the phase such as:May I be happy. Next, direct this towards someone that has helped you or someone you feel very grateful towards. Then, picture someone that you feel neutral about. Someone that is in your life that you neither like, nor dislike. Direct the same phase “May this person be happy” towards the neutral individual. I understand that this may sound a little strange and unconventional for some people. But if we agree that meditation is typically regarded as a very safe activity and has many other reported benefits including reducing stress, improving creativity and enhancing focus it may be worth a try. Research has even shown that loving-kindness meditation “changes the way people approach life” for the better. So… what are you waiting for? Although meditation is not a “cure all” for depression, research has shown that just 2 minutes a day for 21 days can improve the mood. Given that meditation can be practiced when you wake up, while you’re commuting, during a break at your desk or even in the bathroom, 2 minutes a day is not a big commitment. So with that said, may you be happy!